Mell Tierra is aiming for the top and wants to reach everybody with his music. 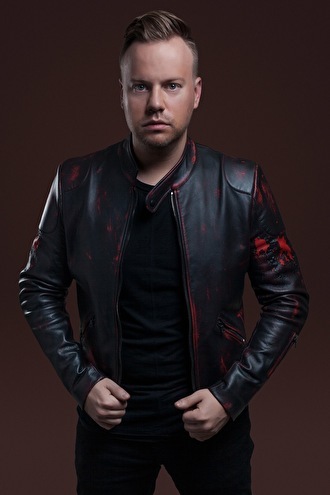 His progressive and electro house releases on some of the world's biggest labels such as Revealed Recordings, Spinnin', Armada, CR2 and Flamingo Recordings prove his talent and got him supported by world famous DJs such as Tiësto and Hardwell. Over these last few years Mell has garnered a loyal fanbase. Next to support from Tiesto and Hardwell, there is a wealth of goodwill for this talented DJ from all corners of the scene. Also well-known artists such as Armin van Buuren, Gareth Emery, Marcus Schossow, Laidback Luke, Markus Schulz, Paul Oakenfold, Paul van Dyk, Sander van Doorn and Thomas Gold have all supported Mell Tierra's tracks. In Holland, Mell Tierra has entertained the audience of the biggest and most popular venues. Clubs like Escape, Matrixx, Bloomingdale, Panama, Westergasfabriek and Crystal Venue are among the grand list of Dutch venues where Mell has performed. With the support of his releases, the international career has made a flying start for Mell. Aruba, Russia, Spain, Belgium, Czech Republic and Taiwan made it onto his list of gigs abroad. 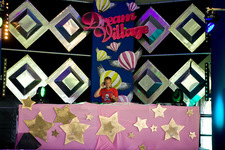 Mell Tierra gives the audience the urge to dance and injects clubs and festivals with the maximum amount of energy. Mell also aims to reach an audience through online media with his DJ mixes. In Mell Tierra Monthly, fans of the genre can listen to a balanced mix of known hits, Mell Tierra exclusives, bootlegs, and also the deeper style of Mell's taste in genre. Mell Tierra is an artist who continues to develop as a producer as well as a DJ. The aim of being a DJ is essentially to play what the crowd wants, not simply what you like to play. However, building your own crowd, by producing your own music, allows the possibility to be able to play what you like. Mell is keen on participating in the EDM scene on a global level, and has his mind set on reaching the entire world with his music. Melvin -> the sound of today! Melvin is de koning ! mell tierra is een held!!!!! met Melvin altijd gekkenhuis !! Super dj en producer, heel veel vette releases en remixen! opnieuw hoorde ik je bij beachpop, zoals ieder jaar, en opnieuw was je de HELD vd dag! Wat een sounds, wat een set! Helemaal TOP.­ Ik heb je toegevoegd aan mn favorieten en ik zal je agenda eens in de gaten houden.­Wil jou vaker horen! !